Hot Legs salon quality cool gel wax is suitable for use all over the body. It comes with spatula and 6 reusable cloth strips and full instruction leaflet. No heating required, and the product is easily removed with just soap and water. This generous 12.4 oz pot retails at around $17 online, for an inexpensive at home hair removal solution. All in all a good choice. What are the ​Advantages of Using Wax? Hot Legs is produced in Australia and is a cold hair removal gel which does not need to be heated prior to use. ​There are 6 reusable cloth strips provided with the product, together with a wooden application spatula. ​Hot Legs also manufacture a warm wa﻿x in their range, which is microwaveable, if this is what you prefer. On opening the pot, the first thing I noticed was the deep green colour and the delicate hint of peppermint fragrance. The wooden application spatula provided measures 105mm X 20mm (tip to tip) and is slanted at each end ​for ease of use. ​There are 6 polyastro strips provided, each measuring 230mm X 75mm and which are designed for use with this product. They can be easily cut down to size for small areas as required. After use the strips can be washed clean simply using warm water, and then dried and stored away ready for next time. Although the name Hot Legs implies that this product is for use on the legs it can, in fact, be used for just about all parts of the face and body. In line with all wax products it is not suitable for use on moles, warts, varicose veins, eczema or damaged, irritated or sunburnt skin. Hair needs to be between 5mm - 1cm in length for this product to work effectively. ​Therefore after shaving, using depilatories etc. you will need to wait until the hair has grown out to the minimum length prior to waxing (approx. 2 weeks, depending on area and individual hair growth). Test a small part of the area to be waxed 24 hours prior to each use, to check that you have no adverse reactions to the treatment. If any adverse reaction occurs, do not use the product. Make sure area to be treated is clean, dry and free from make-up, creams etc. Waxing is a popular form of hair removal and this is partly because it is a relatively cheap and easy process to do yourself in the comfort of your own home, and at your own convenience. 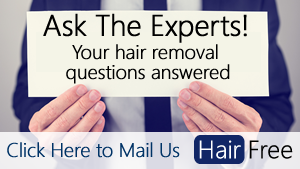 Any method of hair removal that involves pulling hair out at the root will necessarily involve a certain level of pain. However, if you prepare the skin properly and follow the instructions carefully it should be bearable. It is a good idea to rub some baby powder into the area prior to waxing, to help ensure that it is moisture-free, and wax does not adhere to the skin​. Do cloth strips come with this product? Do you need a microwave to use this? Does the product come with a post treatment oil? Is Hot Legs cool gel wax suitable for sensitive skin? ​Can this product be used on the face? I have hair growing from a mole on my face - can I use Hot Legs gel for this? No - waxing is not suitable for use on moles or warts​ - the best solution for you would be tweezing. I found Hot Legs cool gel wax to be particularly easy to use on large areas, given that no heating is required. ​One tip though; the thinner the layer of gel the better, the thicker it is the less effective it becomes.